2019 Meow-sic in Schools Tour! Get tix-> Link To Get Tickets!!! March 13th (Wed) Kewaskum, WI - Kewaskum High School Auditorium - 7:30pm BUY TICKETS HERE! March 14th (Thurs) Beaver Dam, WI - Beaver Dam High School Auditorium - 7pm BUY TICKETS HERE! March 15th (Fri) Waukon, IA - Waukon High School Auditorium - 7pm BUY TICKETS HERE! March 19th (Tues) Ithaca, WI - Ithaca High School Auditorium - 7pm BUY TICKETS HERE! March 20th (Wed) McBain, MI - McBain High School Auditorium - 7pm BUY TICKETS HERE! March 21st (Thurs) Big Rapids, MI - Big Rapids High School Auditorium - 7pm BUY TICKETS HERE! March 24th (Sun) West Salem, WI - High School - Marie W. Heider Center for the Arts - 4pm BUY TICKETS HERE! March 25th (Mon) Ontonagon, MI Ontonagon Theater of Performing Arts - 7pm BUY TICKETS HERE! March 27th (Wed) Johnson Creek, WI - Johnson Creek High School - 7pm BUY TICKETS HERE! March 28th (Thur) Boyceville Middle/High Schoool - Boyceville, WI - 7pm BUY TICKETS HERE! 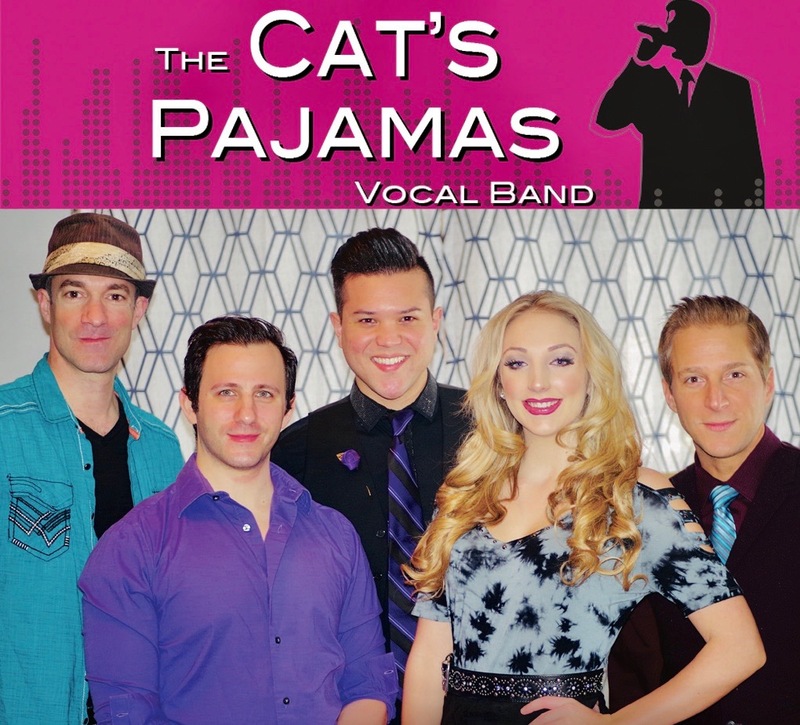 March 30th (Sat) Naperville, IL Cat's PJs are not performing, but come check out some great a cappella groups battling it out at the Harmony Sweepstakes @ North Central College - Wentz Concert Hall - 7pm GET TICKETS HERE! A new full length Cat's Pajamas release "KITTY LITTER" is available and on iTUNES!